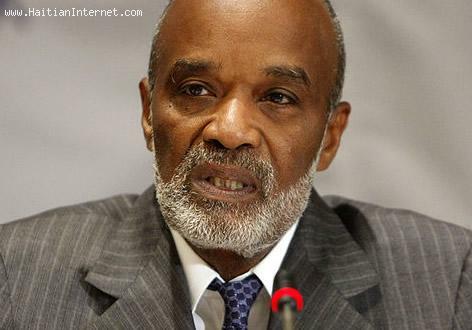 René Garcia Préval is a Haitian politician and agronomist who was twice President of the Republic of Haiti. He served from February 7, 1996, to February 7, 2001, and from May 14, 2006, to May 14, 2011. He was also Prime Minister from February 1991 to October 11, 1991.